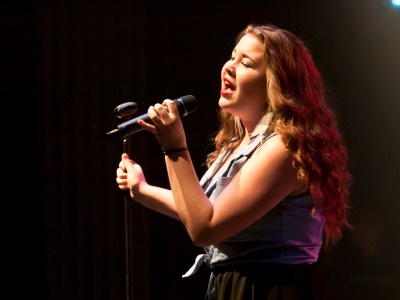 On June 25th, 2016, the teachers and students from Wentworth Music Education Centre presented their 20th Anniversary Tribute concert to a sold-out crowd of friends, family and the community. 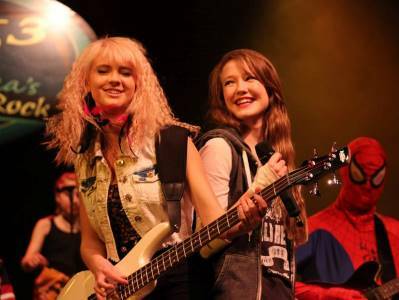 In addition to being an outstanding showcase of talent and showmanship, the concert raised a record $10,464 for pediatric care in the North and Central Okanagan, bringing the nine year cumulative total for the well-known, local music school to over $156,000 for the cause. Part of the charm of the concerts is that they are all themed, inspired by the iconic bands and performers of the rock genre including; Queen (2008); Kiss Tribute (2010) Journey vs. U2 (2012); Blue Collar Rock (2013) and Canada Rocks (2014) to name a few. This most recent concert was the Ultimate Tribute – a selection of 20 songs from 20 shows over the past nine years. 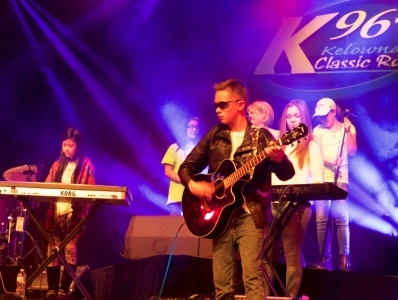 The concerts, sponsored by Interior Savings and K96.3, were inspired by Wentworth’s desire to give his students a platform for showcasing their talents in a more dynamic way than the traditional music recital. Students would perform to an audience of adoring fans, the caveat being that all money raised would be donated to pediatric care in the region. Funds go directly to supporting state-of-the-art equipment and patient care needs for the children’s ward at KGH. The amount the Wentworth concerts have raised is incredible. The Wentworth family, their students and their staff have become a wonderful part of the KGH Foundation family. Each time they stop by to present a cheque, they are always dressed ‘ready-to-rock’ and bring huge smiles to the faces of the staff and patients in the pediatric unit. This year, Wentworth Music celebrates its 50th year in business. As a result of their extensive good work in the community, they have recently been selected as a top three finalist for Music Stores & Schools by the National Association of Music Merchants, a global organization with over 10,000 members world-wide.